Learn about our process serving services for Colorado. We serve at the Secretary of State. We offer Volume discounts. P.S.W.I. serves in 90 percent of Colorado. All along the I-25 corridor and the western slope. 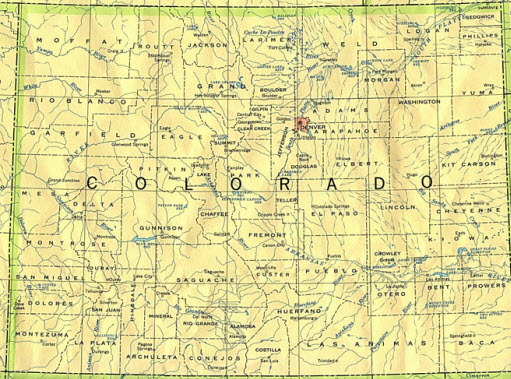 Colorado process serving locations include FT. Collins south through Denver, Colorado Springs, Pueblo, West to Grand Junction and western slope. ➢ Our servers are Reliable, insured, vetted, and experienced. Process Service of Wyoming is excited to offer services now in Colorado! We extended our service area to Colorado back in 2013, starting in the Northern Fort Collins area, and now, 4 years later we cover the entire state. Our team of professional servers in Colorado are reliable, insured, vetted and can get the job done for you! We offer skip tracing and fast response time on your papers! Let us serve for you! We have the technology to get the job done. Signed, notarized and scanned affidavit available 24 hours a day. Our rates for Colorado are the same as for our Wyoming process serving rates. Contact us for information on all Colorado process serving locations and services.